Former Bharatiya Janata Party (BJP) leader Yashwant Sinha gave the word ‘condemnation’ an altogether new level with the words he chose for his son Jayant Sinha late on Saturday night. 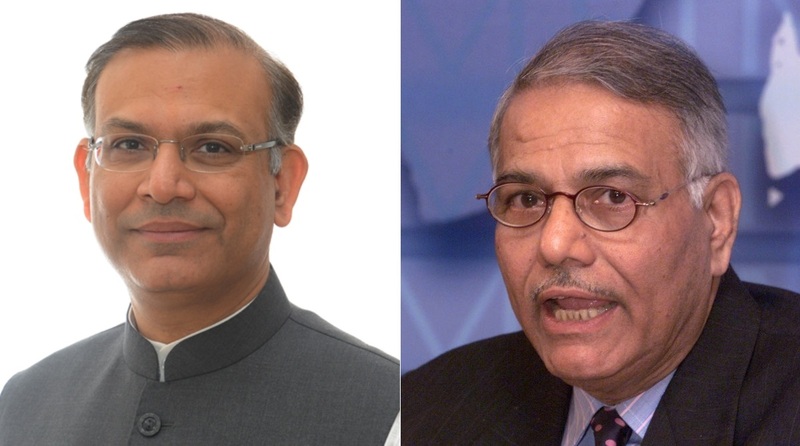 Expressing disapproval of the Jayant Sinha’s act of garlanding eight convicted men who are on bail in a lynching case of Jharkhand, the former finance minister-turned-BJP critic rebuked his son in a sharp tweet. “Earlier I was the Nalayak Baap of a Layak Beta. Now the roles are reversed. That is twitter. I do not approve of my son’s action. But I know even this will lead to further abuse. You can never win,” said the senior Sinha. Earlier I was the Nalayak Baap of a Layak Beta. Now the roles are reversed. That is twitter. I do not approve of my son’s action. But I know even this will lead to further abuse. You can never win. The word nalayak is Hindi for incompetent. Its antonym is layak. Yashwant Sinha, who also served as the Union External Affairs Minister in the first NDA government under former Prime Minister Atal Bihari Vajpayee, was commenting on the felicitation of the eight convicts by his son who is a Union minister in the Modi government. A major controversy erupted on Friday after Jayant Sinha, the MP from Hazaribagh in Jharkhand, felicitated the eight men held guilty of lynching a meat trader to death. The men came to meet Sinha at his residence on the outskirts of Hazaribagh after they were granted bail by the Jharkhand High Court, which also suspended the life sentences awarded to them by the trail court. A day after the incident, Union Minister of State for Civil Aviation defended himself from the barrage of criticism by claiming that he was “honouring the due process of law”. Unconvinced, his father, who has been relentlessly attacking the government led by Prime Minister Narendra Modi for a long time now, posted the terse comment directed at his son. Later on Sunday, Yashwant Sinha posted another tweet in which he explained why he called his son ‘nalayak’ and why he anticipated that even his condemnation would lead to abuse. “When I began criticising the present government people said that I was the first example of an incompetent father of a competent son. Now the people wonder how Yashwant’s son turned up like this. My tweet was in this context. Understood?” wrote Sinha in a tweet posted in Hindi. All 11 people involved in the killing of Alimuddin Ansari, a meat trader, on 30 June 2017 in Ramgarh had been convicted by a trial court. A local BJP leader is among those found guilty. They had dragged Ansari out of his car before beating him to death. “I have repeatedly expressed my misgivings about the fast-track court judgment sentencing each accused to life imprisonment. I am pleased that the Hon’ble High Court will hear the matter as a statutory court of appeal to test the correctness of the Fast-Track Court order,” he added. “When these people got bail, they came to my house, I wished them well. Let law take its own course in the future, the accused will be punished and those innocent will be set free,” he was quoted as saying by ANI.